Visionary & Founding Father Neo Corp International Ltd.
- Marting Luther King, Jr.
Our respected ‘Bade Sahab’, Shri Kailashchandra Shankarlal Trivedi was an exceptional human being and an outstanding leader. 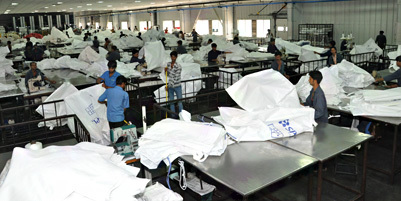 He founded Neo Corp International Limited in 1985, erstwhile Neo Sack Private Limited, as a small woven sack company and led its evolution to becoming a global leader in the Technical Textiles business. As the Chairman, he played a pivotal role of being the social face of the company in his last decade. As a businessman, he took over his father’s business of Hire-Purchase and Timber at the tender age of 14. He lost his father then, and his mother Shrimati Rukshmanibai went on to become his mentor. The visionary that he was, he chose manufacturing in the era where not many had the courage to diversify and take risk. For him, as what he’s shared with many, industrialisation was the need of the nation then, and he could foresee a huge opportunity and bright future. He was one of the pioneers to start a steel plant in the mid-seventies with a couple of his friends, in the name of Steel Ingots Private Limited. He later forwarded integrated and incepted a Steel Rolling mill in the early-eighties in the name of Ideal Steel Rollers Private Limited. With his steel business, he decided to venture into Real Estate and Residential Colonising as well. He was instrumental in bringing about the Neo Corp Group IPO in 1993. Having a mixed bag of businesses, having a knack of all trades and doing exceptionally well on all fronts, is not what comes easily to many. He had it in him to carve a niche, leading to success with his relentless efforts and unwavering determination to succeed. Affectionately known as ‘Bachhubhai’ in the Malwa region, he took to Indore as a fish takes to water, even when his roots were in Gujarat. He was born in Taal, a small village in Madhya Pradesh, where his grandfather hailed from Kapadvanj in Gujarat. Indore became his karmabhoomi. An elevated soul that he was, he never forgot to give back to his native land and the society at large. To begin with, he served as the Treasurer of Shri Gujarati Samaj (Asia’s largest educational institute and his alma mater) for 22 years, later becoming the President for three consecutive years, the last two being appointed unanimously. He was one of the pillars of strength and the brain behind getting the Samaj to where it stands today. 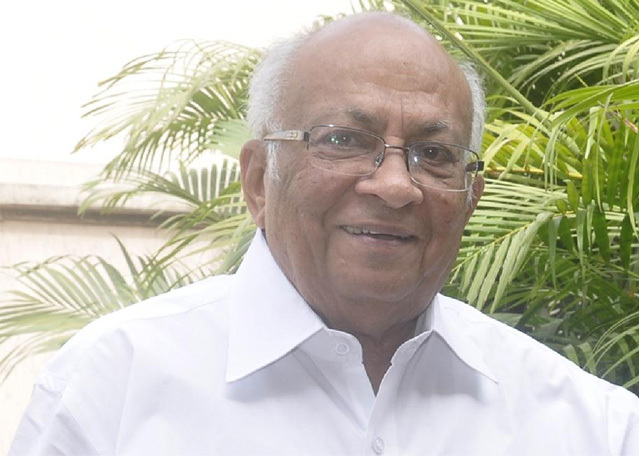 He served as the Founder Chairman of Gujarati Manthan Group and a Founder Member of Gujarat Kala Kendra. He was associated with around 45 social institutions; CPERD, Madhya Pradesh Cricket Association, Hindi Sahitya Samiti, Antar Bharti, Vidyasagar School, Shri Satya Sari Vidhya Vihar, Chandanguru Vyayamshala, Bhartiya Kushti Sangathan to name a few. He was the Chairman of Anand Mohan Mathur Charitable Trust, retired as the Zone Chairman with Lions Club, was the head of Madhya Pradesh Rajya Audyogik Nigam for six years, and was the guardian and patron of Indore Loha Vyapari Association and Timber Merchants Association of Indore. The Bhagavad Gita states, "With determination and command over senses, a true karmayogi embarks on the right path of action." This certainly applies to Bade Sahab. His may not be a quintessential rags to riches story but his life’s journey as an industrialist, a humanitarian and a philanthropist is truly inspirational. In his entrepreneurial innings of over five decades, he created a business that goes beyond being just another industry and works towards bringing a positive incremental change in the lives of people. In fact the latter was and is only sustained so that the former can be taken care of. He lived and advocated the philosophy of learning from the past, living in the present and preparing for the future - a mantra he has he has left for many to benefit from and become successful not only in one’s worldly pursuits but also at the ‘human’ level. He has left behind a legacy which is enduring and he will always remain an inspiration for us!